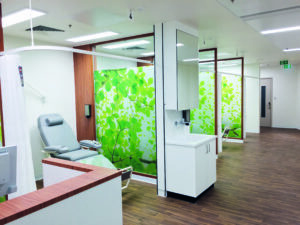 Family-owned German hospital group Schoen Clinic opened their first private medical facility located on Wigmore Street, London. 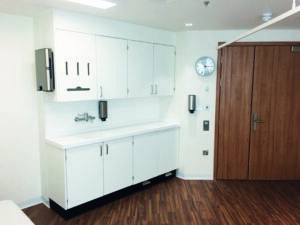 The clinic includes 39 en-suite inpatient rooms across three top floors of the building, along with consultation rooms, therapy and office space on the first floor, and three theatres located in the basement. 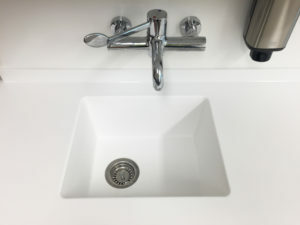 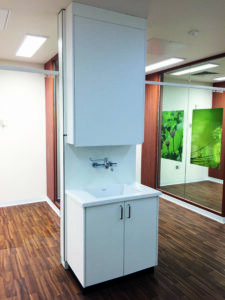 Our scope of work included bespoke joinery with Corian® worktops and sinks, a mixture of base and wall units with integrated glove and apron dispensers, IPS systems, lockable drugs cabinets and curtain tracks. 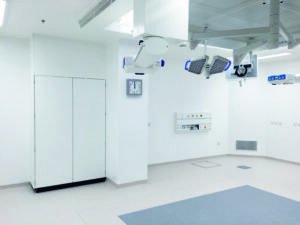 We were delighted to be part of this prestigious flagship hospital for Schoen Clinic based in the UK.